It’s a sad fact that people engage in a dangerous drinking patterns, often without realizing the many serious consequences. This drinking pattern affects one’s breathing, heart rate, body temperature and gag reflex. Complications can lead to coma and death. It occurs when large amounts of alcohol are consumed over a short period, leading to a condition called alcohol poisoning. As described by the Mayo Clinic, a person is said to have alcohol poisoning (sometimes referred to as alcohol overdose) if they have consumed a toxic amount of alcohol–an amount that overwhelms the body’s ability to process it and metabolize it, so that harmful consequences result. Alcohol poisoning is especially dangerous because a person can consume a fatal dose before losing consciousness; their blood alcohol concentration may continue to rise even after they have passed out. 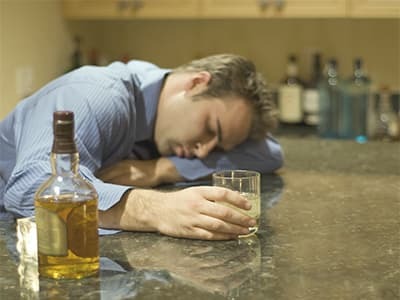 An alcohol binge can occur over hours or last up to several days. Binge drinking has often been linked to young adults and college students. 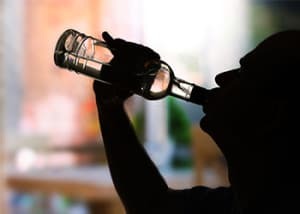 But according to the National Institute on Alcohol and Abuse & Alcoholism, about three quarters of alcohol poisoning deaths take place among individuals between the ages 35 and 64; and in almost a third of these deaths, chronic alcoholism is identified as a leading factor. It takes approximately one hour for the body to metabolize (via the liver) 0.25 ounces of alcohol, and alcohol can be absorbed into the bloodstream in as little as 30 minutes after drinking. So as a person drinks more, their blood alcohol content (BAC) level continues to climb. The BAC level keeps increasing for up to 40 minutes after the last drink is consumed. A BAC of 0.08 percent or higher is the level that determines drunk driving. A BAC level between 0.10 to 0.12 percent will begin to impair one’s coordination and memory. Anything higher than that will bring on additional harmful side effects, such as blacking out, potentially choking on vomit, or experiencing sudden, extreme reduction in breathing. The symptoms of alcohol poisoning usually include at least some of the following symptoms But it is important to remember that alcohol poisoning may be present even if all of these symptoms aren’t present. If medical attention is not quickly administered, breathing may stop completely and/or a heart attack may occur. Call 911 for emergency medical assistance and be prepared to provide information (location, symptoms, how much alcohol consumed, etc.). Try to keep the person awake. 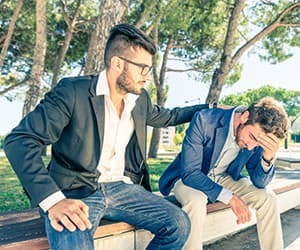 If the person is vomiting, try to keep him or her sitting up. Or roll them onto their side to prevent choking. If the person is unconscious, check for breathing and be prepared to administer CPR if necessary. Don’t give them coffee (caffeine will worsen the dehydration); but if they can take it without choking, give them water. Do not give them any more alcohol to drink. Do not give them food (danger of gagging). Do not try to make them walk (danger of falling). Sleeping it off — a person can lose consciousness while asleep and choke on vomit. Drinking black coffee or consuming other forms of caffeine ― caffeine does not counteract the effects of alcohol poisoning. A cold shower — the shock of cold water could cause a loss of consciousness. Walking it off ― this does not increase the speed at which alcohol leaves the body; and walking while drunk with impaired physical coordination could lead to a fall and potential injury. Consume no more than one serving of alcohol per hour. Do not consume alcoholic beverages on an empty stomach. Do not take part in binge drinking games or challenges. Avoid drinking when you are feeling depressed or lonely. With common sense and moderation, the dangers of alcohol poisoning need never be a part of your life.